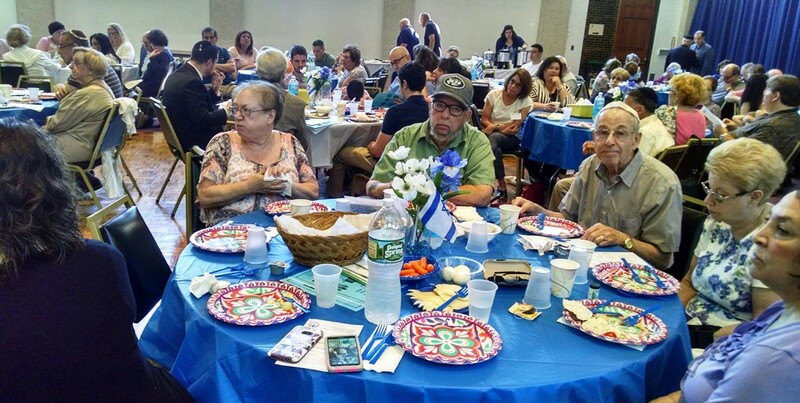 The Jewish Federation celebrated their 41st Annual Meeting at Kol Yisrael on Sunday, June 11, 2017. Installed were new President, Carla Wise, 1st Vice President Beth Pechman, 2nd Vice President Harvey Kallus and several trustees. Reports were given from the Endowment Committee, Treasurer, outgoing President and Executive Director. Our 2017 Youth to Israel Scholarship recipients were introduced. 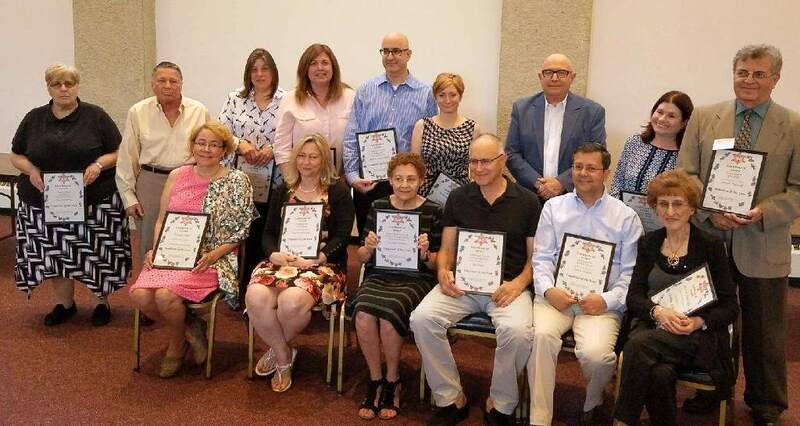 Scroll down to read the full bios of the Volunteers of the Year. A fine time was had by all. Many thanks to Gail Oliver and Joseph Herzog for these photos. Steve Licker was chosen as Volunteer of The Year for CAI for all the work he has done. He came up with and administered our successful "Fill the Gap" program, he has been the driving source for the Membership Committee, Chairman of the Board, has been one of our voices on the KOL Board and most importantly, has his given the current president his guidance and direction. That president would personally like to thank him for being here. Joe Herzog can tell you how much our temple spent on paper goods in 2009, he’ll have the receipts. If you want to know how much our Hanukkah buffet dinner cost in 2012, ask Joe; he’ll have the records for you. Want to know when we replaced our boiler and how much that cost. He’ll know that too. Yes, Joe can track receipts and expenditures with the best of them, including our cemetery’s separate finances, but he does not limit himself to only a Treasurer’s duties. He also chairs our Religious Affairs committee and serves on our House committee as well. The Jewish Federation has also benefited from Joe’s treasurer abilities and current involvement. We are fortunate and blessed to have Joe sit on our Board of Trustees. 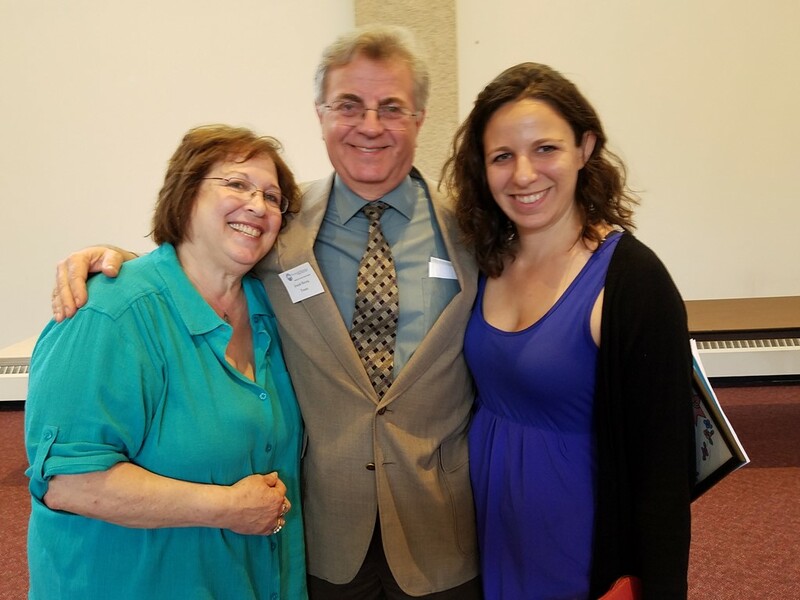 Helaine Lasko and her husband, Art, joined our synagogue about 15 years ago. 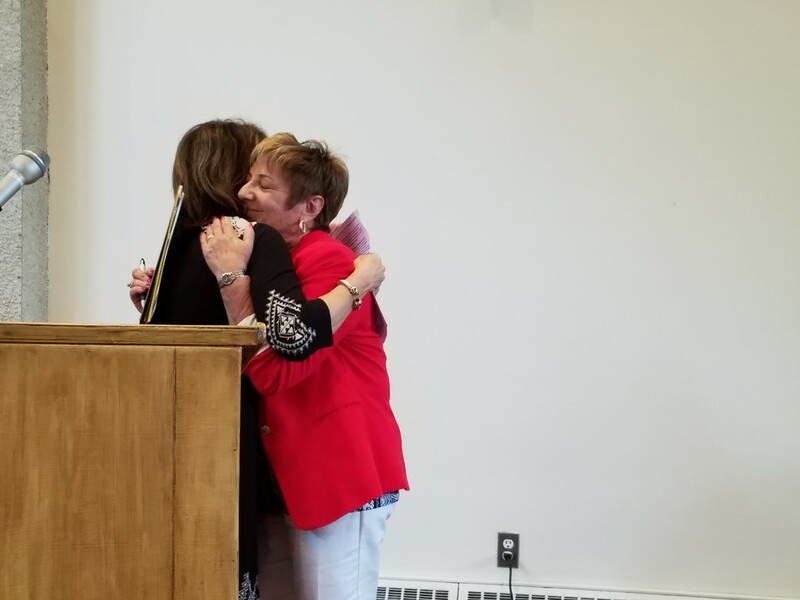 The two of them have been involved from the time they joined, but this past year, Helaine has become a real mover and shaker among our members. She serves on the synagogue’s Board of Trustees, the Membership Committee and chairs the Program Committee. 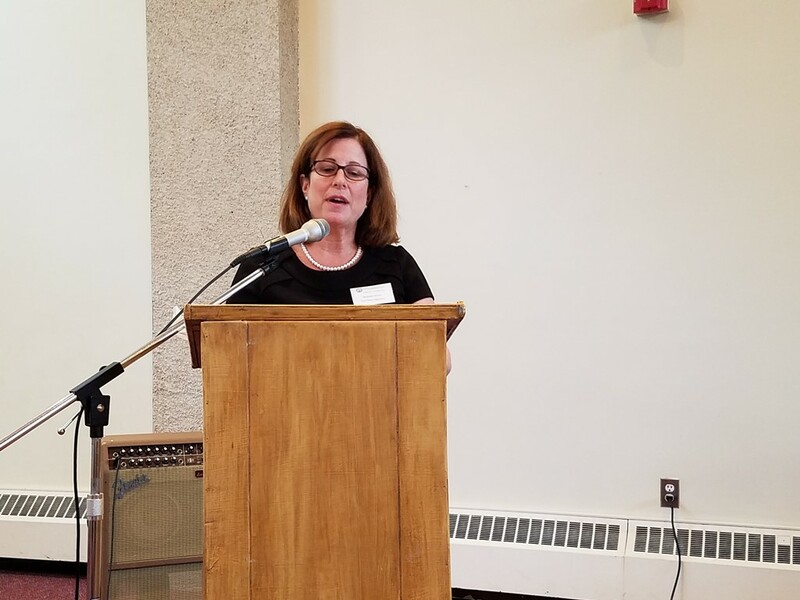 Under her leadership, our programs - such as Shabbat Across America and the Tu B’Shevat Seder - were truly memorable events. 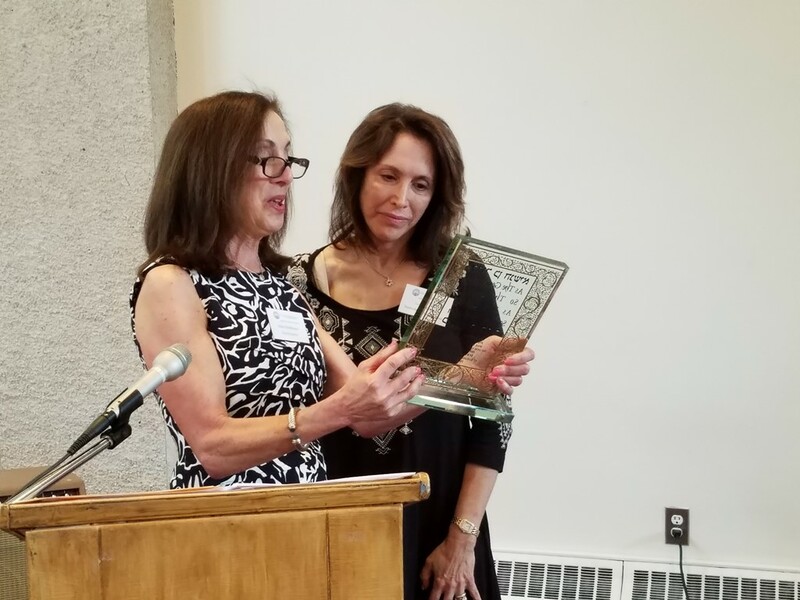 Sharon Jennings deserves recognition for her tireless volunteerism to our synagogue. Sharon and her family moved to Orange County in 1995. 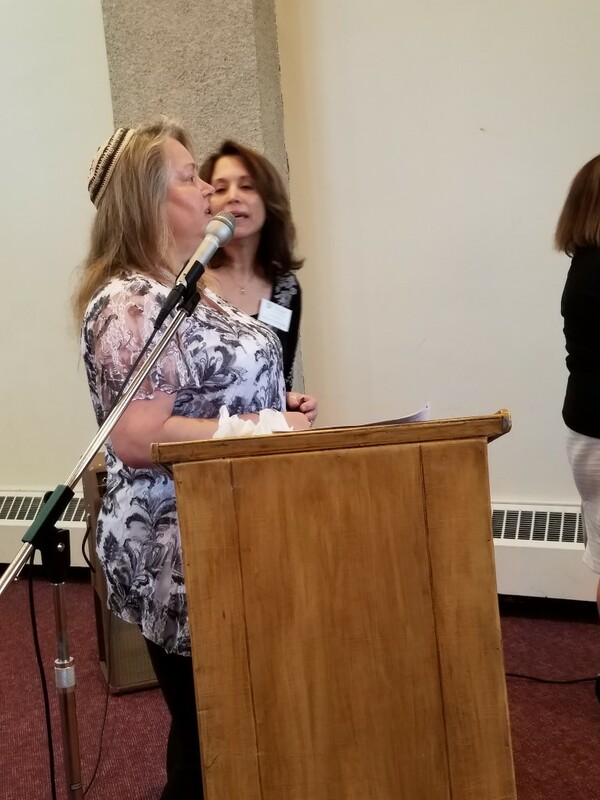 Shortly after moving to Monroe, Sharon joined Congregation Eitz Chaim. She very quickly became an integral and important member of our synagogue. Sharon has served in many roles; member of our Journal Committee, Youth Committee, USY leader and most recently has been our treasurer for 6 years. Gail Sullivan has been a tireless and dedicated Sisterhood member. 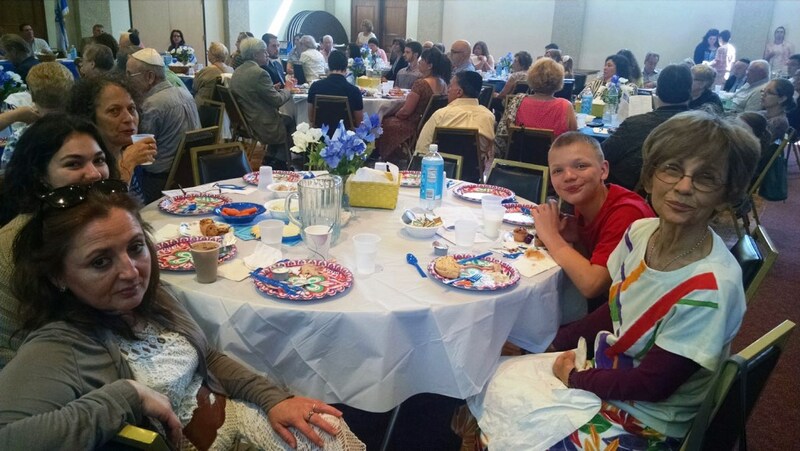 A retired teacher at a juvenile detention center and a devoted mother and grandmother, Gail has worn several hats in our synagogue and Sisterhood. 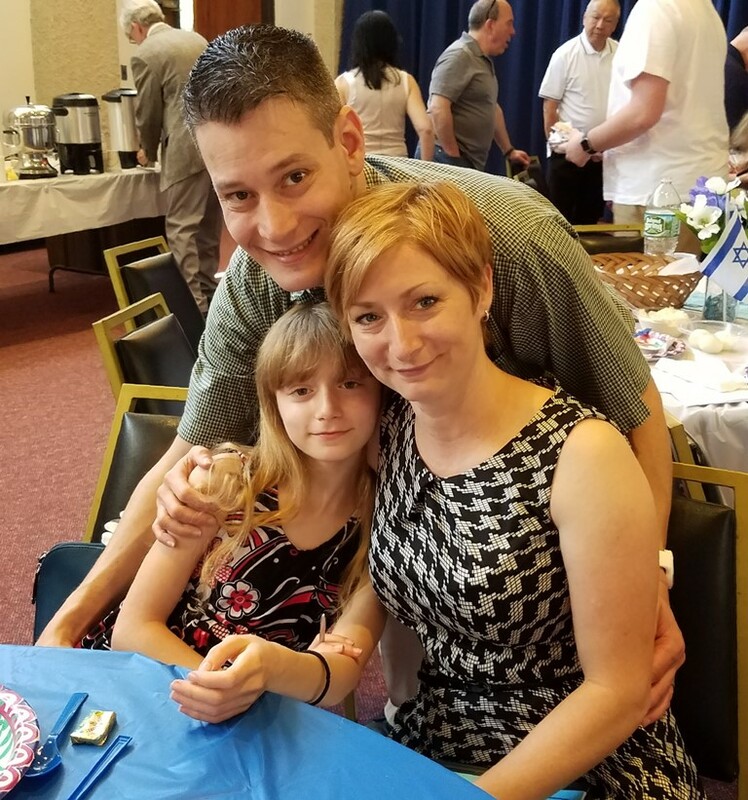 She is our Recording Secretary and the editor of our Shalom newsletter, a member of Eitz Chaim’s Board of Trustees, and has recently joined our Hebrew school education committee. Gail can always be counted on to help whenever needed. 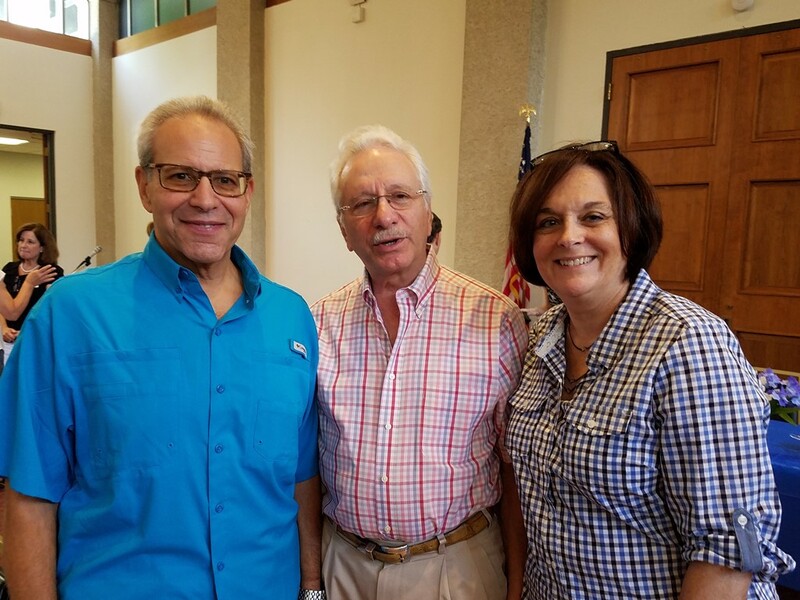 Vincent Copello of Warwick has volunteered tirelessly over the past year in the role of Chairperson for the Town of Warwick Friendly Visitor Program Advisory Council. It is through his determination, countless hours, meetings and ongoing efforts that this program recently came to fruition. Older adults and adults with disabilities, throughout the Warwick Township will now have access to more services. In his volunteer capacity, Vince has worn many other hats. He was the Past President of Senior Group in Town of Warwick, past member of Senior Council of Orange County, past member of the Advisory Board for Orange County's Office for the Aging, past chairperson of Orange County's Office of the Aging, a member of focus groups for ShopRite of Warwick and he promoted Wednesdays 5% Senior discount and refreshments of coffee & cake at both Warwick ShopRite and Price Chopper. 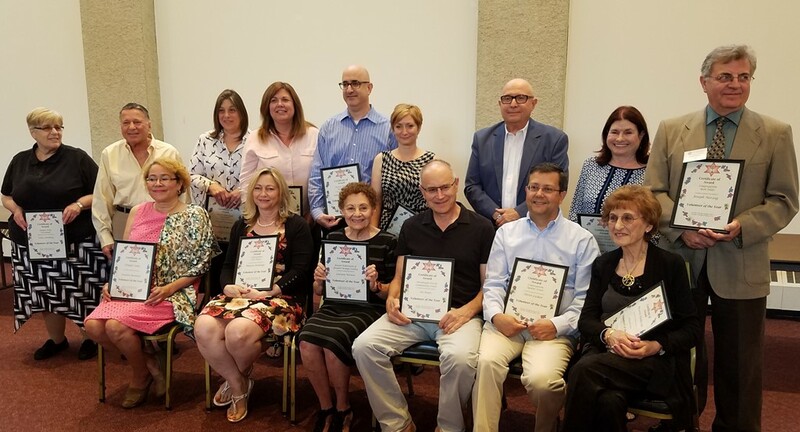 Jewish Family Service and our partners at the Town of Warwick Friendly Visitor Program are honored to have Vince as a driving force on our collective teams. 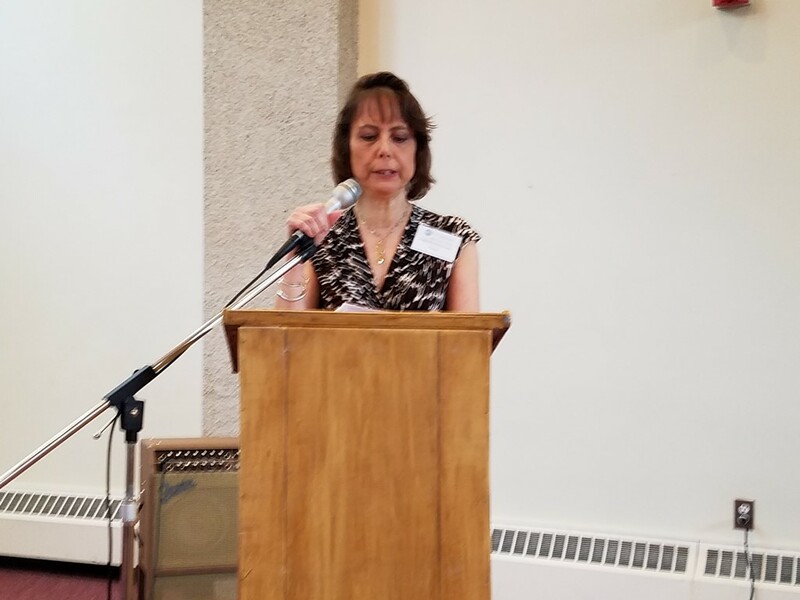 Lorraine Wernow is a retired social worker, an active member of Temple Beth Jacob, the Newburgh Jewish Community Center, Rosh Chodesh Group and The Jewish Federation. She has three adult children and 4 grandchildren who live out of town. Lorraine enjoys eating in restaurants with friends, reading, baking and walking on the Walkway over the Hudson. For many years, Lorraine has been schlepping her laptop to Federation’s Super Sunday to research bad phone numbers. Recently, she has been coming into the Federation office on a weekly basis to help out with clerical duties. Yolande Tovi was born in Casablanca Morocco, but her family originally came from Paris, France. She still has many relatives living in France. Yolande came to the US in 1958 where she met and married David Tovi, an Israeli-American. They lived in Queens, New York before coming to Monroe. Yolande has one daughter, Karen, who lives in New Jersey with her husband, Jerry and 17 year-old son, David. 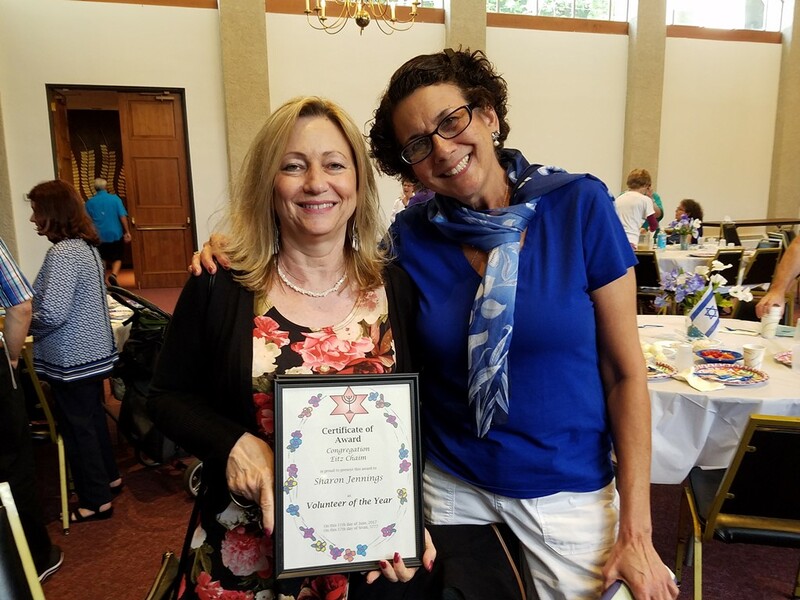 Yolande has been a member of Monroe Hadassah for many years, always helping where needed. She has been Hospitality Chairperson and works on the Ways and Means Committee as Canister Day Committee Chairperson. Very few can resist giving a donation for Hadassah’s Cancer Research when Yolande asks in her lilting French accent. Y’Asher Koach Yolande! Adam Herrman is to be commended for his unwavering dedication to serving the congregants of the Monroe Temple and the community. Whether it is serving as the MAC Co-President, MAC Treasurer, Chair of the Security Committee or Ways and Means Committee, Adam unselfishly gives of his time. A modest and soft-spoken individual, Adam can always be found participating and volunteering at Temple events, and while he would deny it, he truly deserves to be recognized for his service. 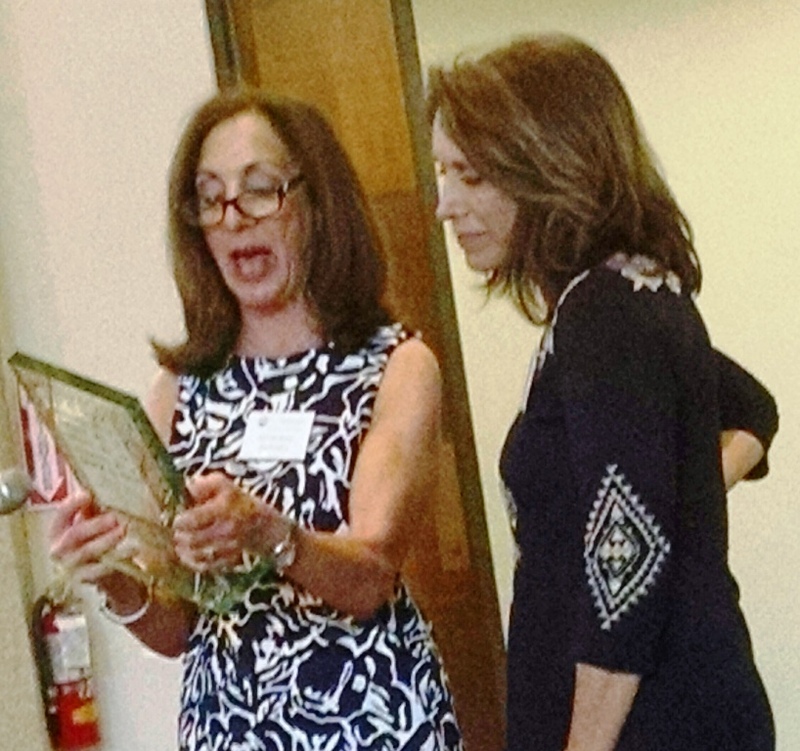 Lisa Sternberg has been a crucial aspect to our temple and sisterhood. She is our financial guru and has gone above and beyond the call of duty as her appointed position for sisterhood. Lisa has supported sisterhood as we have gone through lots of transitions these past two years. She never complains, and always steps up to help out. She is the glue that holds Sisterhood together. Ian Rieger is a long-time board member of Newburgh JCC. 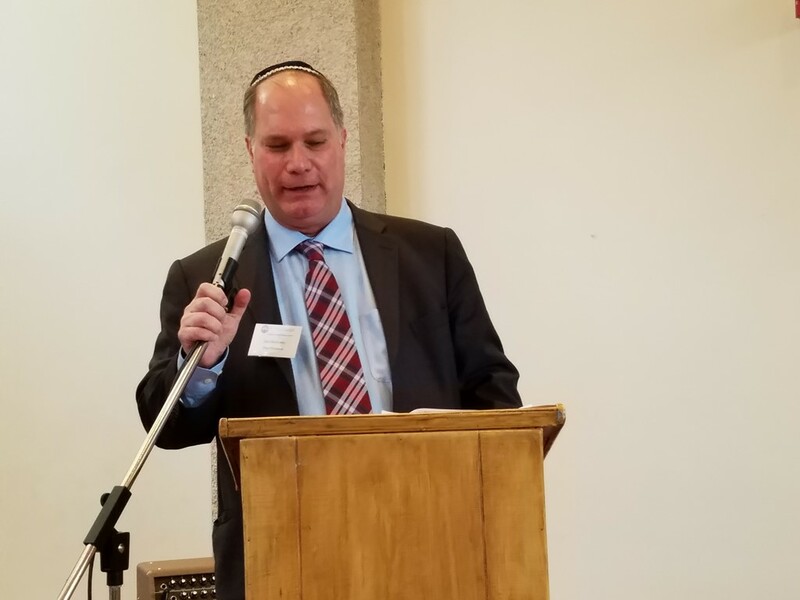 As a Kol Yisrael board member who chaired the building committee during construction, he continues to oversee the installation of new kitchens there. He chaired the Builders Blitz for Habitat for Humanity, serves on the board of Hospice and is former President of the Orange County Builder’s Association and the New York State Builder’s Association. He brings a kindness to all that he does and his contributions over the years to our organization and others are innumerable. George M. Levy was born on Long Island in 1948 and grew up in an active Jewish home. His father, Joseph was Temple President when George was a child and so George had a role model for being active in the Jewish community. George graduated from high school and college on Long Island and went to law school in New York City. He was appointed an Assistant Attorney General for the State of New York, where he served 1977 until 1983, when he became an associate at what is now Finkelstein & Partners in Newburgh. George became a partner there in 1987 and has become the Senior Trial Partner for many years. Many continue to recognize his voice as the spokesperson for the firm as well as for Jacoby & Meyers in television spots running in our area. 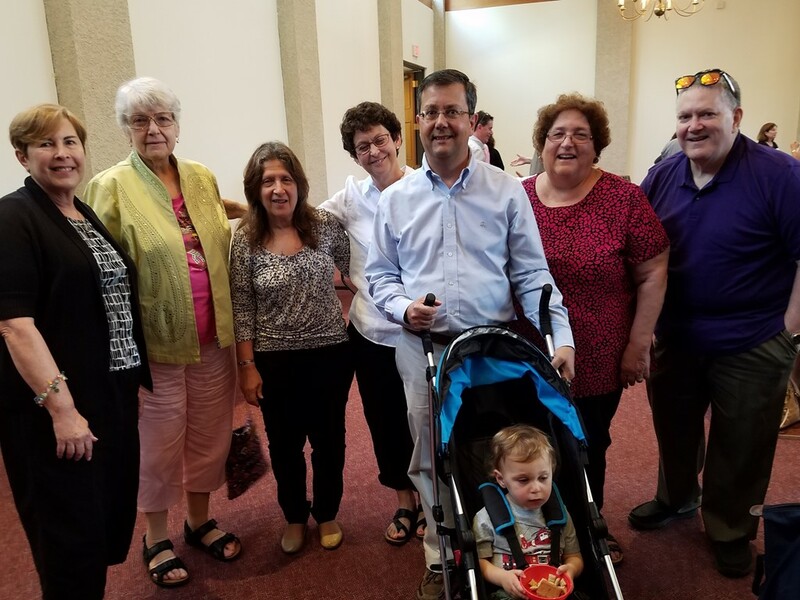 George and his lovely wife Susan came to the Newburgh area from Syracuse in 1983 and joined Temple Beth Jacob. George soon became a member of the Board of Trustees, serving as President on two separate occasions. He became a trainer for the Jewish Federation's Super Sunday and has done that job for decades. 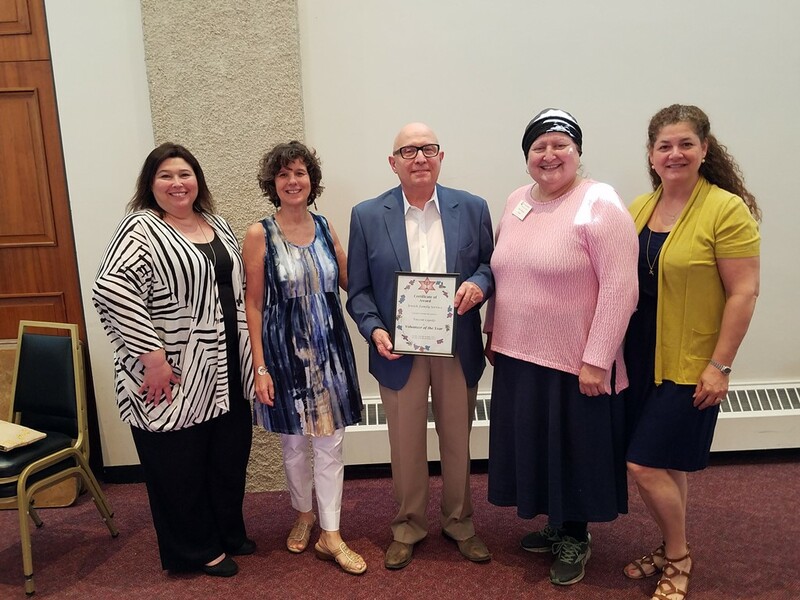 George was honored by Israel Bonds and Temple Beth Jacob and continues to be active in the community. He was recently voted onto the Board of the Greater Newburgh Symphony Orchestra for the second time. George and Susan have two wonderful children and three adorable grandchildren, Aria, Kira and Hudson. Deborah Freedman happily serves many roles at work and at home. At work, she teaches Hebrew at Westchester Day School in Mamaroneck and she teaches 7th grade at TBJ’s Religious School. Deborah also serves as the youth advisor at TBJ, in addition to volunteering her time and efforts as needed for various TBJ goings-on. Formerly, she was an ADA in Brooklyn, NY and worked for a non-profit adoption agency in Pittsburgh. Deborah is married to Rabbi Larry Freedman and is mother to Ethan, 22, and Lev, 20. Wendy Cedar has been passionate about keeping teens involved in the Jewish community since her days in NFTY when she was a teen. 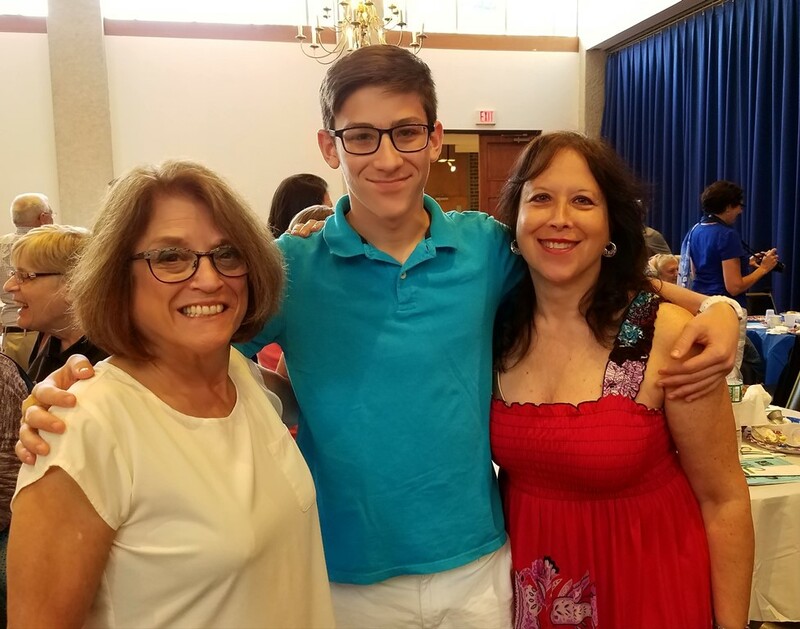 At that time, Wendy helped build the youth group at Temple Beth Shalom in Florida, and since returning to TBS about 10 years ago, she has worked to rebuild the youth group again, so it would be available to her daughter! 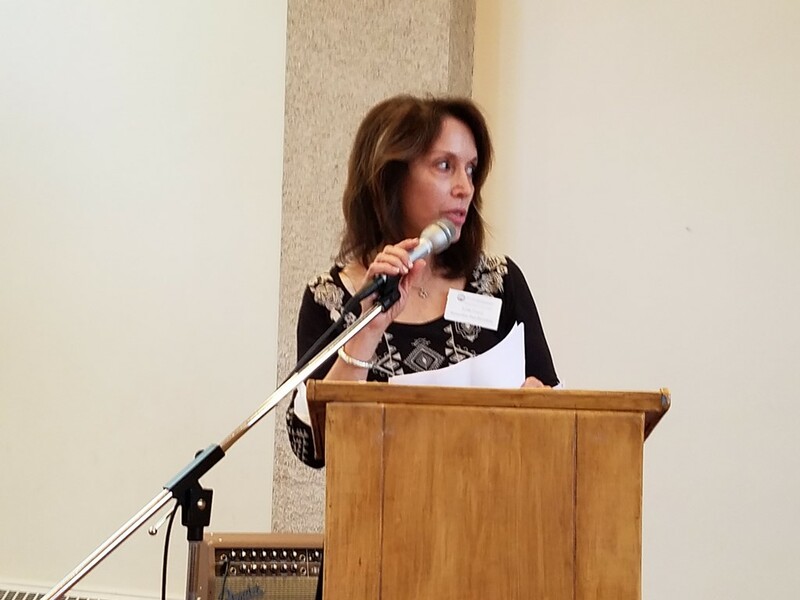 Wendy has recently accepted an appointment as a TBS Board Trustee and begun to chair the fundraising committee to do her part to help ensure a strong Jewish presence in Orange County for generations to come. 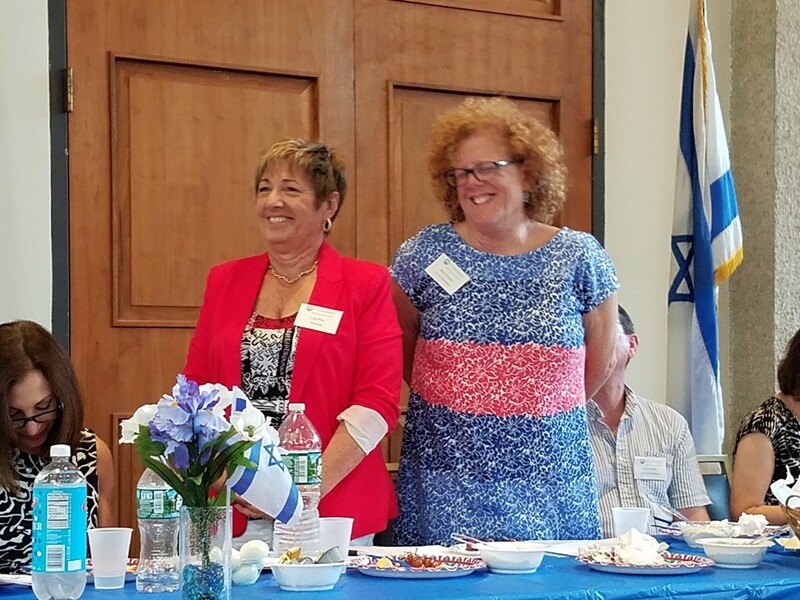 Wendy’s mother, Karen, of blessed memory, was the first woman invited on the TBS Board of Directors and worked as the URJ Comptroller for many of teen programs for 32 years. Karen used to say of her job that she was “saving the Jewish people.” She was a great role model and Wendy is proud to do her part in “saving the Jewish people,” at least in Orange County, in any way that she can. Mindy Hazzard moved to Chester 20 years ago and now resides in Goshen with her husband, David, their 11 year old son, Mitchell, 2 dogs, and cats. The Hazzard family joined our temple six years ago, but it seems like there was never a time that they weren’t a part of our beloved TBS. 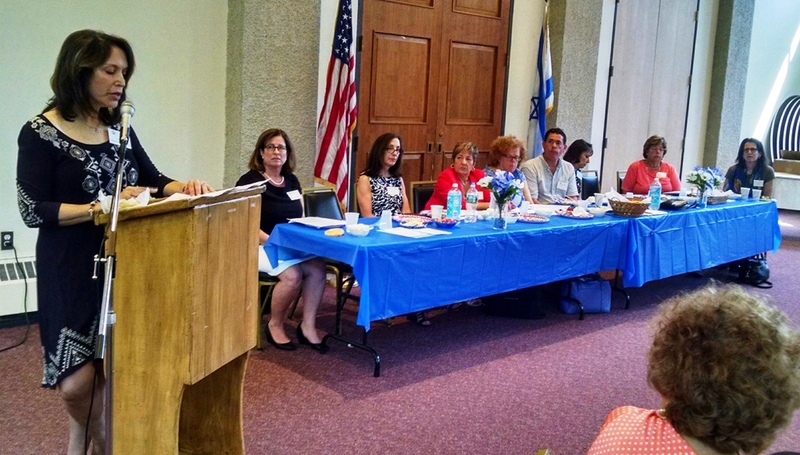 Mindy was part of this past year’s amazing group of nine women who shared their B’not Mitzvah. She is always quick to jump in and lend a helping hand and always with a big smile on her face. She is an active member of both the Temple and the Sisterhood, where she sits on the executive board in the role of corresponding secretary. She has stuffed baskets, pitched in at penny socials, vendor fairs, and festival meals, assorted fundraisers and trips to the food pantry. 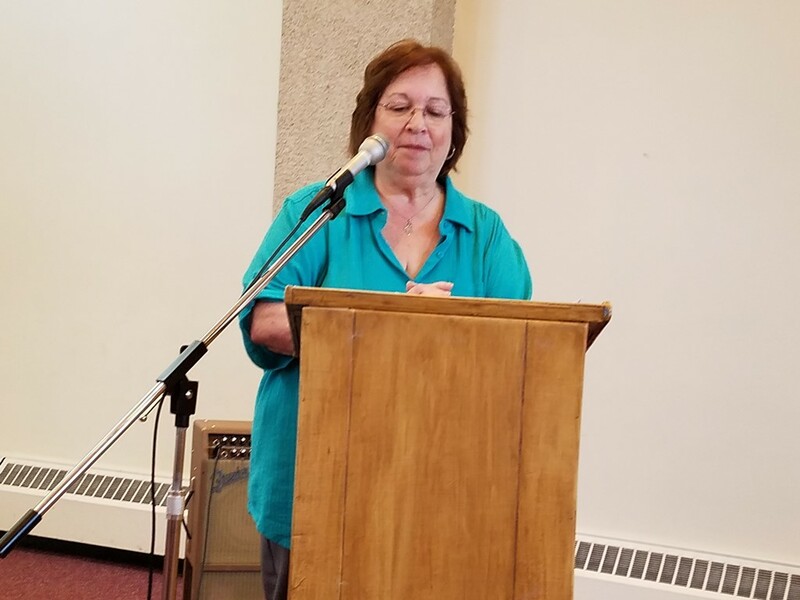 Mindy was the director of Gan Shalom Preschool at Eitz Chaim for 18 years, and has recently come out of retirement to share her love with the children of Jump Start, Chester New York. Needless to say, Mindy is very busy, but we know she will continue to be an engaged member of her Temple community. Josephine and Ed Bloomfield: Ed is currently the First Vice President and co - chairs the Capital Improvement committee, Men's club and so much more. This year he was instrumental in refurbishing M.H.A. Nursery school in the hopes of Universal Pre-K status. 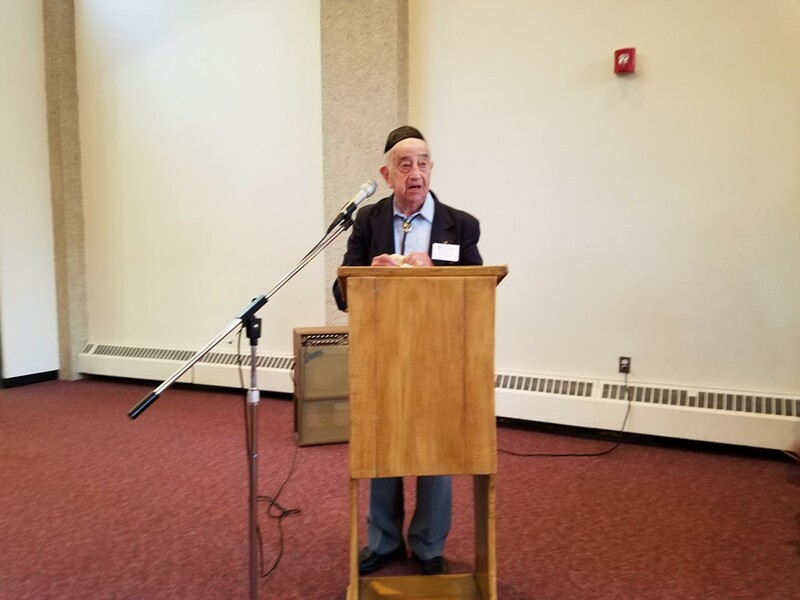 His incredibly ingenious wife, Josephine has helped with the Kiddush Lunch committee and has planned engaging and successful events and fundraisers for their Temple. 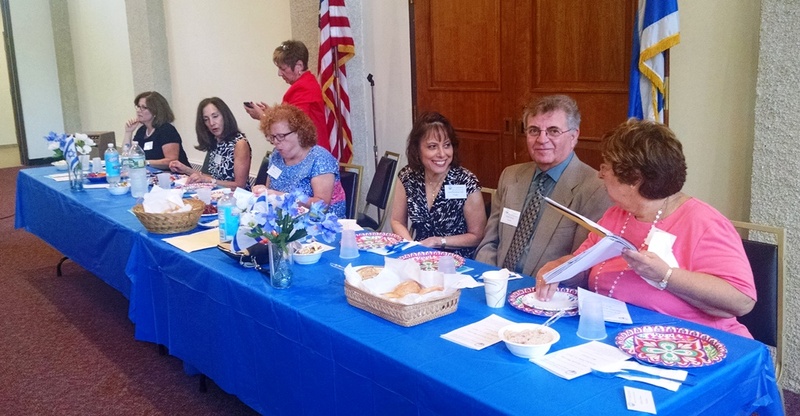 They are both always available with their strength to support Temple Sinai. Their support is forever appreciated. Toby Schomberg was married for thirty-eight years to a wonderful man named Allen who passed away in 2005. They had three children; Philip, Jeffrey and Rachel. But Toby’s greatest love is grandchildren, Alana and Samantha. Toby worked thirty years in the commercial flooring industry as a project manager. In 2014 she retired, moved to Middletown and became a member of the Mulberry senior center and president of the Golden Age seniors club. 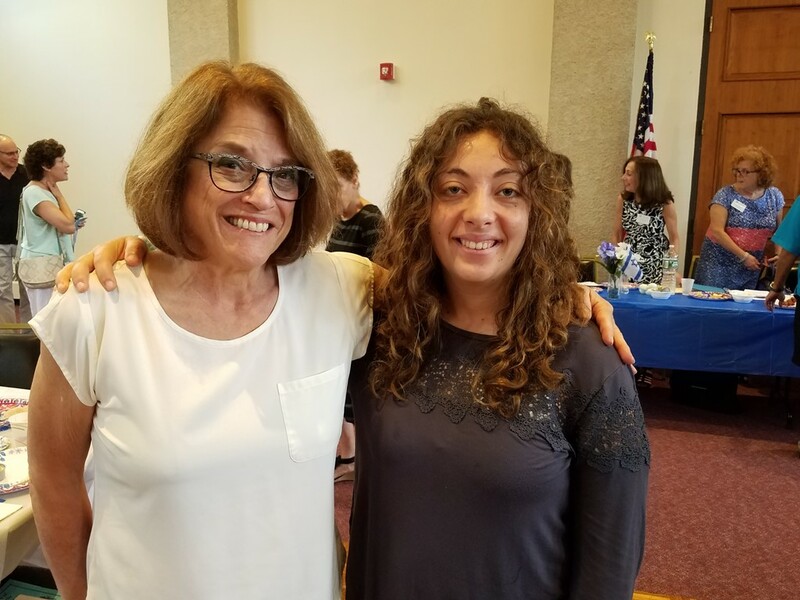 If that was not enough, her other passion was to join Temple Sinai and become the Secretary of Temple Sinai Sisterhood along with daughter Rachel who is Sisterhood’s Membership chair.